25 June 1943: Keel laid by the Bethlehem Steel Shipyard Corp., San Francisco, Cal. 01 July 1968: Sold for scrapping to the North American Smelting Co., Wilmington, Del. 6k Kenneth Willmarth was born on 13 February 1914 in Cleveland Township, Chippewa, Wis. 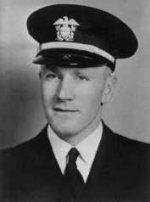 He graduated from the State Teacher's College at Eau Claire, Wis., with a BS before he enlisted in the Naval Reserve at Minneapolis, Minn., on 17 June 1941. 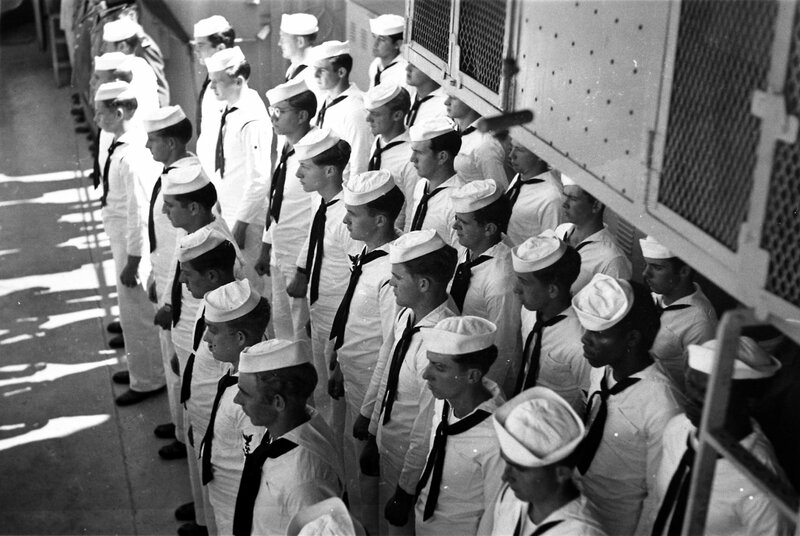 After receiving instruction as an apprentice seaman in Prairie State, the former battleship Illinois (BB 7)-from 18 September to 09 October, Willmarth received an honorable discharge on 10 October to accept an appointment as midshipman in the Naval Reserve the following day. After training again in Prairie State (IX 15) and receiving a commission as ensign on 17 January 1942, Willmarth joined Vincennes (CA 44) while that cruiser lay alongside the east jetty, Navy Yard annex, South Boston, Mass., on 28 February 1942. 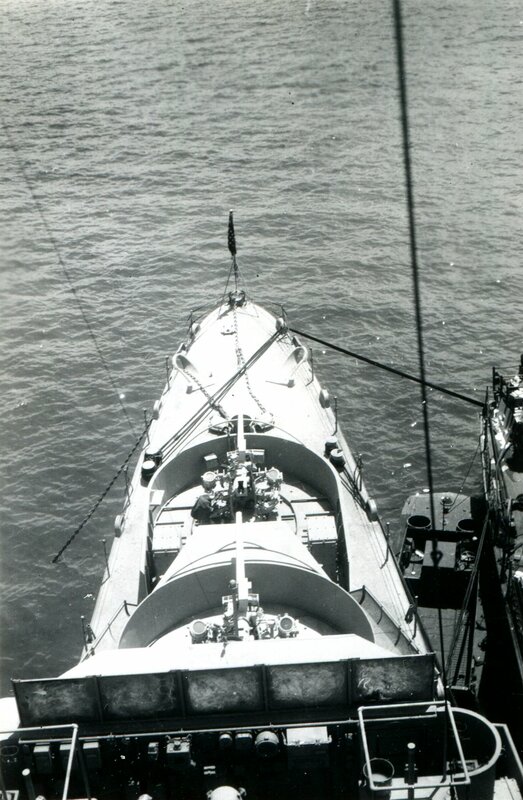 Initially a junior watch and division officer in the ship's "M" division, Ens. 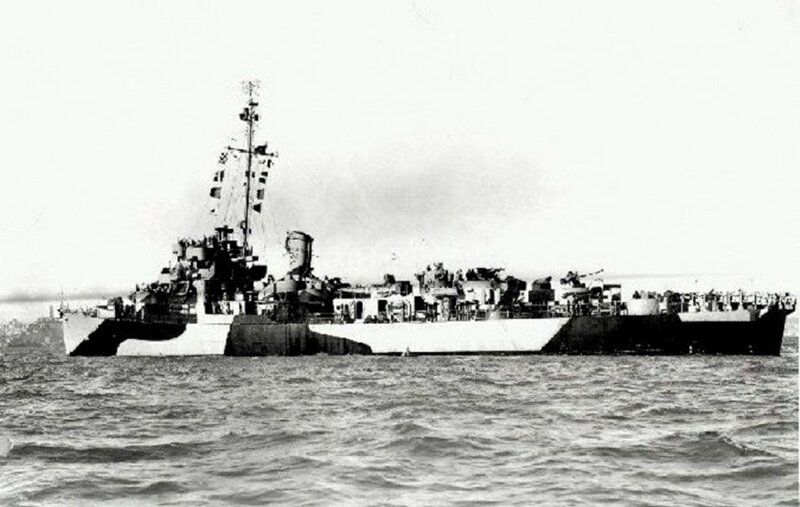 Willmarth served in Vincennes until the predawn darkness of 09 August 1942 in the Solomon Islands when an avalanche of steel unleased by Vice Admiral Gunichi Mikawa's cruiser force smothered Vincennes, Astoria (CA 34), and Quincy (CA 39) of the northern screening group in some 20 minutes' time. Ens. Willmarth was among those killed in Vincennes as his ship took at least 57 known shell hits and possibly absorbed two torpedoes; the battered heavy cruiser sank within an hour of the start of the engagement. USS Willmarth (DE 638) (1944-1946) was the first ship named in his honor. 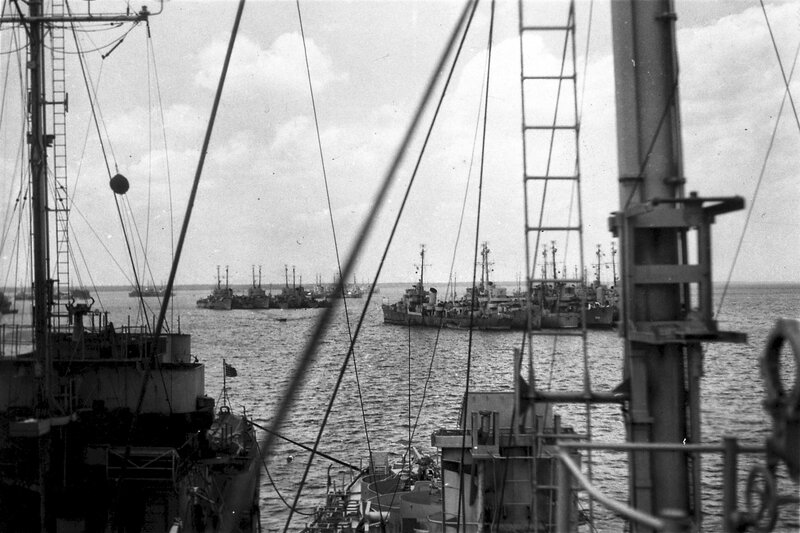 early April 1946: Green Cove Springs, Fla. - Three views of Willmarth being prepared for "mothballing". 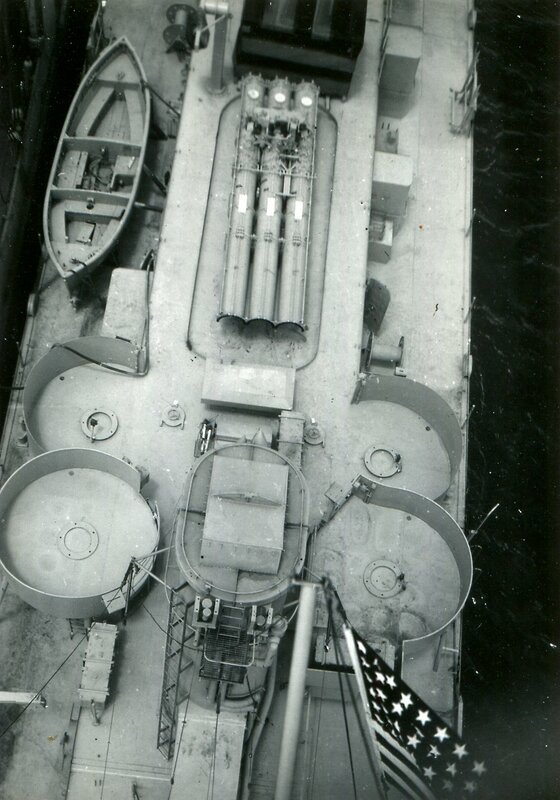 Note the empty 20 and 40mm gun tubs. 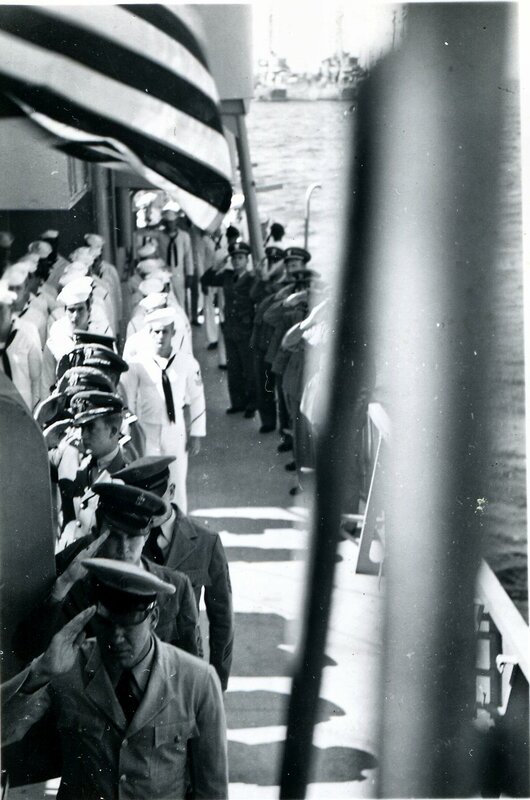 228k 26 April 1946: Green Cove Springs, Fla. - The crew stands at attention while the officers and chiefs of USS Willmarth salute as the ensign is lowered for the last time during her decommissioning ceremony. View the USS Willmarth (DE 638) DANFS history entry located on the Naval History and Heritage Command web site. 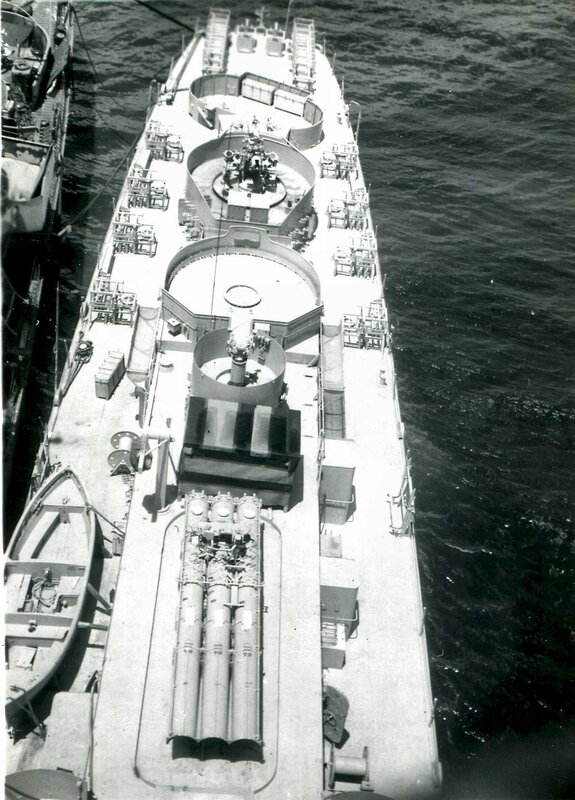 View the official War History of USS Willmarth as submitted by the ship at war's end.